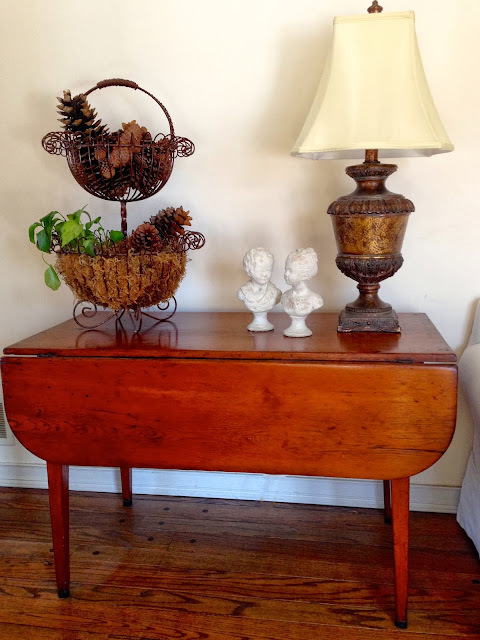 Georgia's Home Inspirations: Drop-Leaf Tables! Recently we've come across several charming drop-leaf tables and it got us thinking about their versatility. 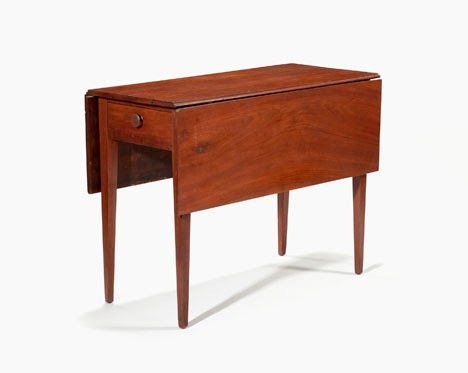 A drop-leaf table, as you know, has a fixed center piece and hinged fold down sections (dropped) on either side. If the leaf is supported by a bracket when folded up, it is a standard drop leaf. 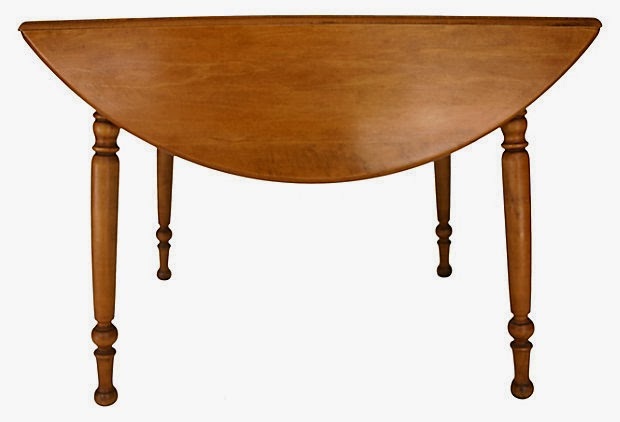 If the leaf is supported by legs that fold out, the table is known as a gate leg or swing leg table. Variations of these tables have been used in the U.S. since the late 1600's and were and still are perfect for small spaces. 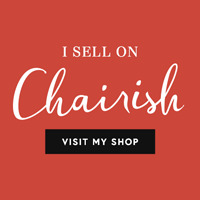 It's a classic piece of furniture that can be used as a dining table, night stand, side table, desk or in a hallway. Low, elongated versions could be used as a coffee table or drawn up to a sofa for impromptu dining. Here's a look at a few tables that we couldn't pass up! This 1940's maple drop leaf is just gorgeous. It is 48"round when fully open and oblong when the extra leaf is added. We love the clean lines of the next two tables; they are so utilitarian! 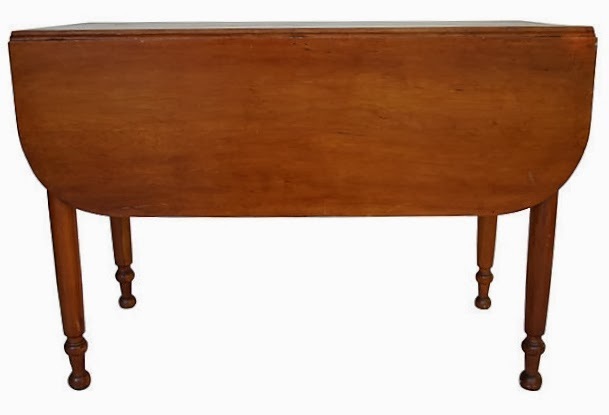 Vintage cherry drop leaf with just enough leg detail. This 100 year old walnut drop leaf with square nails is in excellent condition. It is low enough to work well as an end table. Pembroke drop leaf tables have a drawer at either end making them perfect for use as a desk. We are on the look out for one of these. Consider a drop-leaf table if you could use an extra surface but need a compact solution. For more information on any one of the tables above, leave a comment or contact us via Facebook or email. Have a great week!